Loch Lomond distillery can be found a mile or so to the south of the eponymous loch, and has been quietly making whisky since 1964. 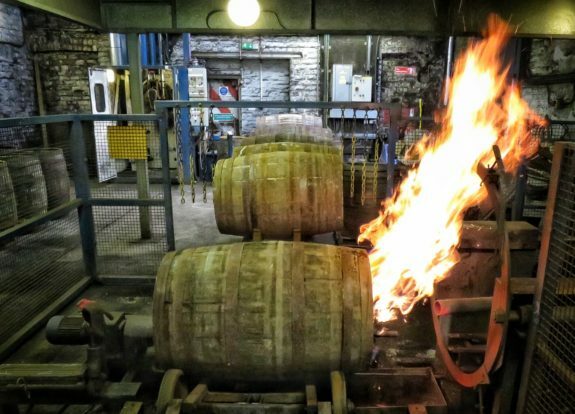 For most of its life, the distillery has focused on producing blended whisky but the past couple of years has seen some big changes. One of the challenges of making blended whisky is sourcing enough grain whisky. Producing grain may be cheaper by the litre than single malt, but building a grain distillery takes a huge amount of investment. These days there are seven grain distilleries operating across Scotland, but if one of the owners decides not to deal with a blender, it can cause problems. The threat of running out of grain popped up in the 1990s for a number of blenders, including Bulloch & Co – maker of High Commissioner – which bought Loch Lomond in 1986. 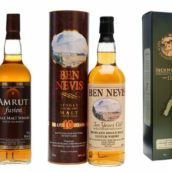 The company decided to bring all production in-house, reducing its reliance on other whisky producers and giving it full control of the entire whisky-making process. The result is modern Loch Lomond, an incredibly flexible distillery where a huge range of spirits can be produced. 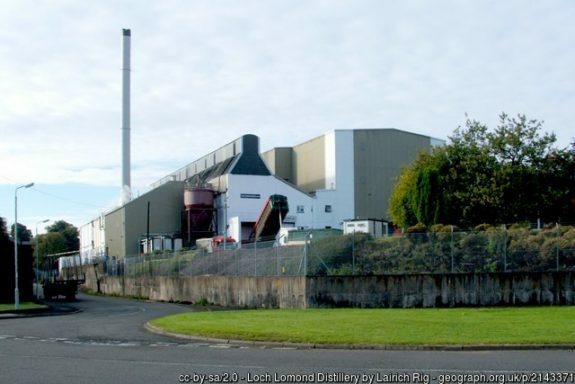 In 2014, a private equity firm bought Loch Lomond and despite initial fears that the distillery might be broken up or fade away, it has instead flourished. Master blender Michael Henry has been given the keys to the warehouses and asked to create a range of whiskies to showcase the distillery. Along with a grain distillery – capable of producing 20 million litres of pure alcohol per year and used for making both whisky and vodka – the site in Alexandria is also the location one of the most intriguing malt whisky distilleries in Scotland. Using three types of still, barley peated to three different levels and three kinds of yeast, Loch Lomond makes 13 styles of whisky from malted barley. This gives Michael the flexibility to create a wide range of single malts and blends. The first set of stills will be familiar to anyone who’s visited a distillery in Scotland: traditional copper pots. Loch Lomond refers to these as swan-necked stills to distinguish them from the second type: straight-necked. 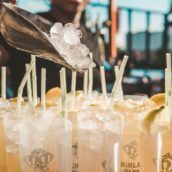 These have a straight, tall body filled with a series of plates that push the resulting spirit to higher strengths – while a pot still will generally produce a spirit that is around 70% ABV, spirit is collected from the straight-necked stills at about 85% ABV. The distillery also does runs in the straight-neck still where the spirit is collected at 65%, giving yet another style to work with. 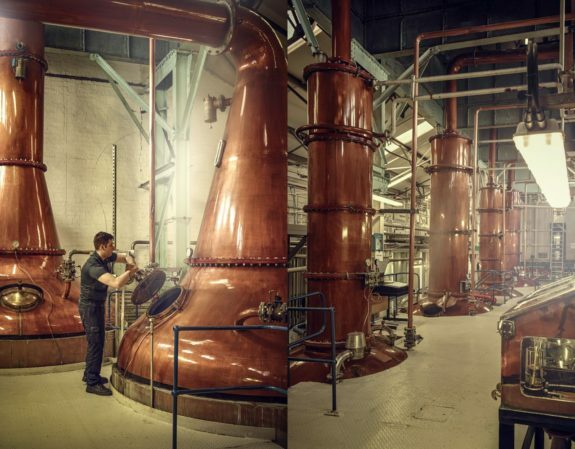 As the straight-necked stills aren’t like regular pot stills, their use has caused issues in the past with the Scotch Whisky Association, the body that guards the definitions of Scotch whisky. There are still discussions as to whether the spirit from the straight-necked stills counts as grain or single malt, but for now it’s all legally single malt. That isn’t the case of the third style of still: a column. A column still is the defining character of all grain whiskies in Scotland, but Loch Lomond runs its still differently, producing a spirit that is made only from malted barley. 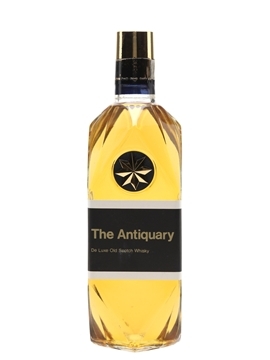 Legally, this must be called grain whisky – as it is not distilled in a traditional pot still – but it uses the same malted barley mash also distilled in the other stills. This is unique in Scotland and produces a distinctive and different style of grain whisky. 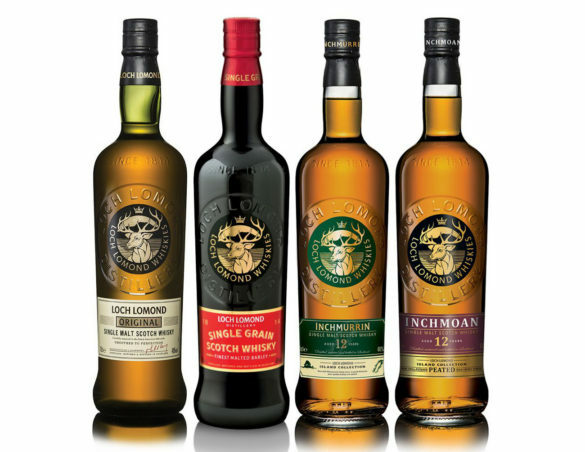 Loch Lomond – the flagship whisky. 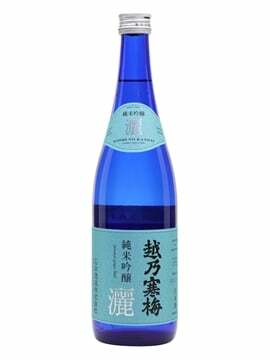 It is a mixture of straight- and swan-neck distilled whisky, using both lightly peated and unpeated barley. 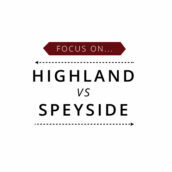 The result is a rounded and fruity dram with a hint of smoke. 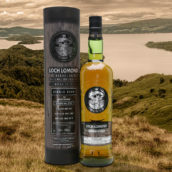 Loch Lomond Single Grain – the quirky one. Made with 100% malted barley, it’s very different to every other Scottish grain whisky on the market. 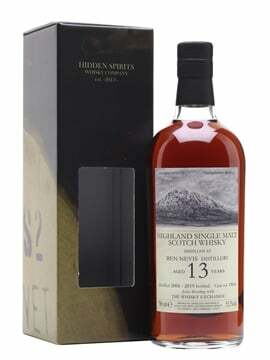 The flavour profile is packed with fruit, with solid cask influence adding layers of vanilla and spice. Inchmoan – the smoky one. This has just been released, and the 12-year-old will be hitting the website shortly. 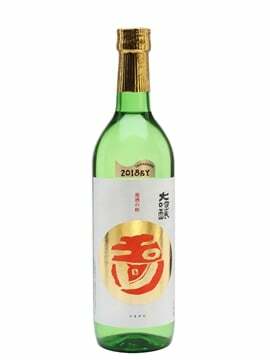 It’s heavily peated and uses straight-neck spirit collected at both 85% and 65%, as well as swan-neck distilled spirit. This gives Michael as much flexibility as possible to create his whisky, and the result is a full-bodied and peaty dram, with a combination of medicinal notes, spicy peat and dark charcoal smokiness. It’s one to watch out for. Many thanks to Michael Henry and brand ambassador Ibon Mendiguren for hosting a tasting for our customers. You can see all of our upcoming tastings here and sign up to our tastings newsletters here. 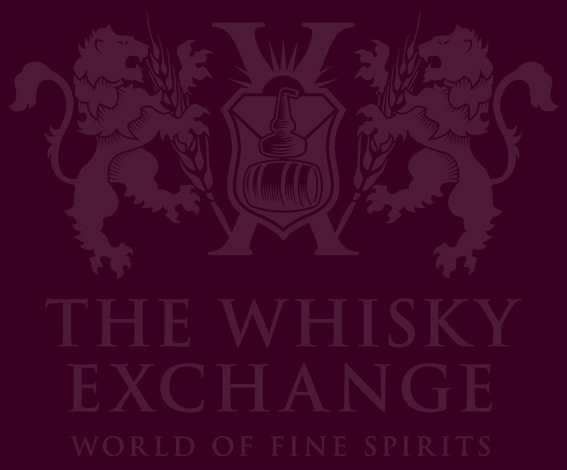 We have just released a single-cask Inchmurrin 2001 bottled exclusively for The Whisky Exchange. It’s available now.